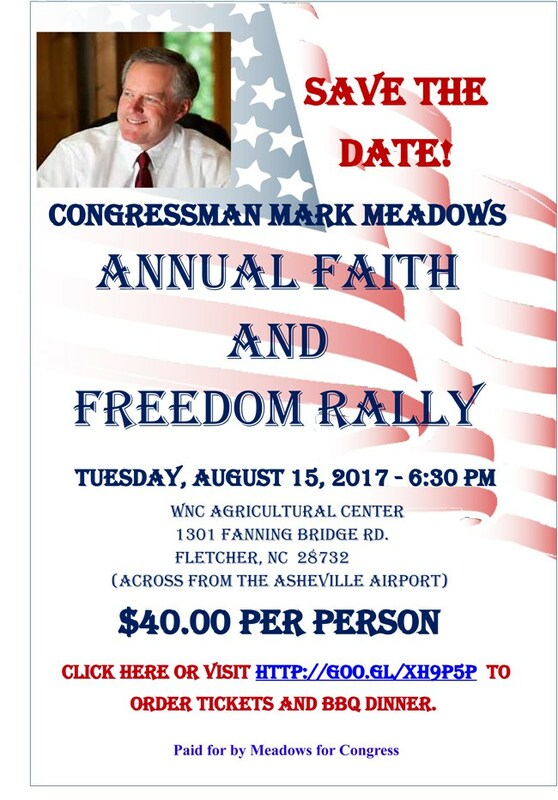 Support our excellent Congressman Mark Meadows! Click here to order your tickets for Rally and BBQ dinner. Event location shown on registration page at the link above.